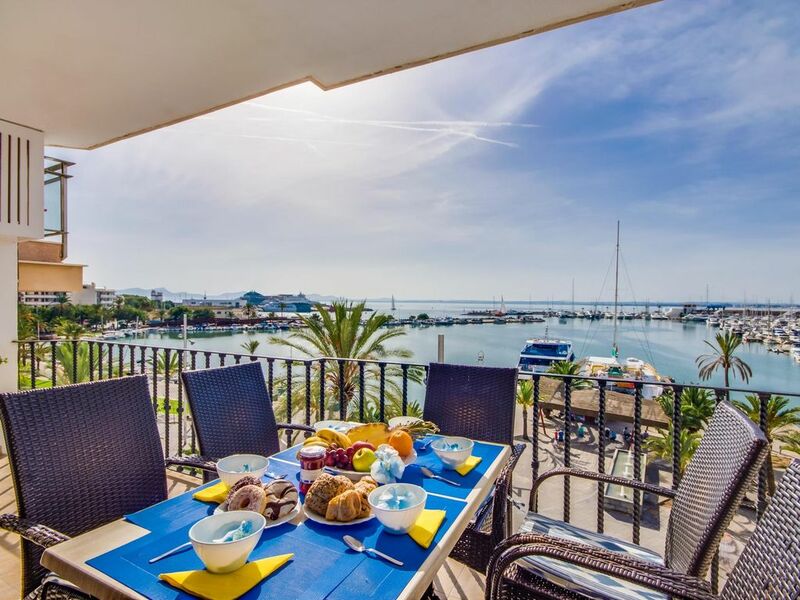 Enjoy your holiday away in a modern apartment on the seafront and only 200 meters from the beautiful, 13 km long sandy beach of Alcudia. From your balcony you have the view of the sea and the marina. In the immediate vicinity of the apartment there are numerous restaurants, cafes and shops, which invite you to stroll. Also a supermarket can be easily reached on foot. The apartment is equipped with a modern living-dining room, a fully equipped kitchen with dishwasher, washer and dryer, 2 baths and 3 bedrooms. The apartment has all the amenities. For beach lovers and families it´s the perfect holiday!